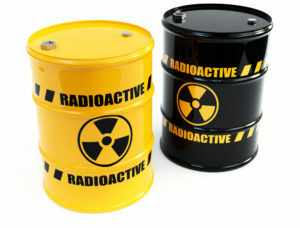 Radioactive substances come in radiation types are used in a diverse range of industrial, medical, research and communications applications. Although these applications bring real benefits to people living in the UK, some can create potentially harmful exposure risks that must be effectively controlled. 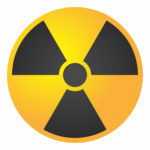 The subject of radioactive substances is far larger than we can cover in this short video but basically, there are two types, f radiation that is an issue. ionising and non-ionising radiation. Ionising radiations occurs as either electromagnetic rays (such as X-rays and gamma rays) or particles (such as alpha and beta particles). If you intend to start work with ionising radiation for the first time you need to let HSE know at least 28 days before you start work and you must notify HSE if there are any material changes to the work details you previously notified us about. To protect workers and members of the public from the effects of ionising radiation dose limits are set at a level that balances the risk from exposure with the benefits that use of ionising radiation brings. Dose limits are intended to reduce the risk of serious effects occurring, such as cancer, and are in place to protect the eyes, skin and extremities against other forms of damage. Dose limits are defined in UK legislation and can be found in schedule 4 of the Ionising Radiations Regulations 1999. HSE’s policy on phone masts in particular and radio wave safety, in general, is guided by organisations such as the World Health Organisation, the International Commission on Non-Ionizing Radiation Protection and the Health Protection Agency. It is important that we understand and monitor any potential public health impact from radio waves. A great deal of research has been and continues to be undertaken. The weight of international evidence reviewed by these expert organisations indicates that there is no evidence of a direct link between harm or ill health from working or living close to phone masts. The Health and Safety Executive (HSE) is the main public body which regulates work that causes or could cause radiation exposure of workers, the public or both. HSE’s inspectors advise, inspect, investigate and enforce in a flexible and proportionate way so that radiation exposure of employees and others, arising from work activities, is adequately controlled. Finally, it is in the interests of both yourself and your baby to inform your employer as soon as you know you are pregnant. Your employer needs to know this so they can make any necessary changes to protection measures and apply the additional dose limits. You are not legally required to inform your employer and can choose to keep this private. However, if your employer is unaware that you are pregnant they may not be able to take any further action.